The 2018 edition of the Eurobest Young Creatives Integrated Competition began today in Centrum Creativity, Warsaw, Poland. The competition, which has been running for 10 years, provides an opportunity for young talent to showcase their skills to the industry and receive feedback to nurture and develop their creative abilities. Open to young professionals, those 30 years old or younger, from around Europe, the competition challenges teams of two to answer a brief set by an NGO. The teams have 24 hours to produce an eye-catching integrated creative campaign and present their creative campaigns live to a select eurobest Jury. 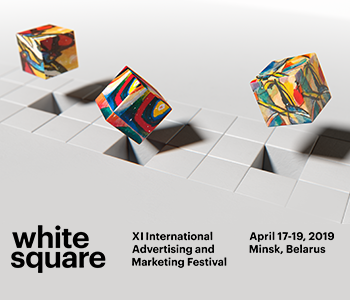 This is the biggest competition we’ve ran for Eurobest and we’re thrilled to be able to host it with our Festival Representative in Poland, SAR Marketing Communication Association. The competition has consistently been an incubator for talent and it is the perfect opportunity for young creative to put their skills to the test and learn from their peers across the continent. The competition takes place over two days and this year has 22 teams from 15 countries participating including: Austria, Denmark, Georgia, Germany, Greece, Hungary, Italy, Kazakhstan, Poland, Portugal, Romania, Russia, Sweden and Ukraine. An integral part of the competition is presenting their idea to a live jury comprised of Christian Behrendt, Group Creative Lead Google ZOO, DACH, France & MENA, Maciej Twardowski, Executive Creative Director, Ogilvy, Poland and Maria Milusheva, Creative Director & Partner, Noble Graphics, TBWA, Bulgaria. The client behind the brief will present the brief and participate as a judge. The Young Creatives Competition is about pure creativity and fresh ideas. We are happy that Warsaw will become the centre of creativity this weekend and we’re thrilled to see best ideas from young talents. The Awards Ceremony took place at Centre of Creativity on Saturday 24 November.